In Finding Nemo, one of the most memorable gags is that of Dory claiming that she knows how to speak Whale. 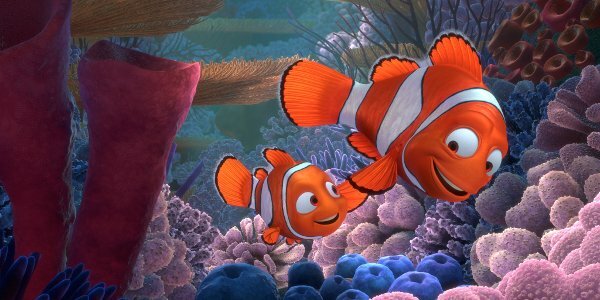 After a recent decision made by the Navajo nation, you'll get to see the classically forgetful fish add another language to her wide array of tongues, as Finding Nemo has officially become the first kids film to be translated into Navajo. I knew we needed a children's movie. We needed something that would really get our Navajo children's attention and get them engaged. Disney is known for having all the child classics. Disney Studios and Pixar have helped us every step of the way. We couldn't have done it without them. While foreign translations are a standard part of the film industry, the fact that Finding Nemo is only the second American film to be translated into the Navajo language is quite interesting. For the Navajo nation to select such an iconic animated film of recent years not only helps to keep their language alive, it also helps bring more of the modern culture outside of the reservation a little closer to home. With the language barrier broken, a whole new bunch of children and parents alike will get to experience the joy of one of the the finest animated films of the modern era. Another exciting prospect about a Navajo language version of Finding Nemo is the fact that die-hard fans of the original English version will have a whole new experience to engage in with a film that they probably know by heart. After over a decade of being used to Albert Brooks and Ellen DeGeneres playing the leads, fans will be able to follow along with a new set of vocal talent that in turn will bring a new interpretation to those classic moments we all remember. Come to think of it, what does the Navajo language interpretation of whale-speak sound like? You'll now be able to find out, thanks to this new version of the film! Most importantly the Navajo translation of Finding Nemo will not only keep the Navajo language alive with its indigenous people, but it could also serve as a vital resource for those outside of the culture who would like to learn the language themselves. Much like any other good film, Finding Nemo may find itself building a strong bridge between the Navajo nation and the various peoples of the world - all through the magic of cinema. If you are so inclined, the Navajo version of Finding Nemo will debut across the Navajo nation at some point this month, in theaters located through Arizona, New Mexico, and Utah. Meanwhile, Finding Dory will open in theaters all over on June 17th.